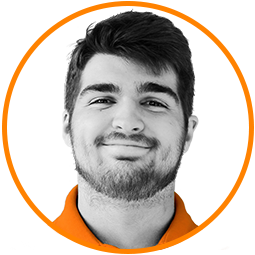 Gareth is responsible for everything that goes on in the workshop – building PC’s, installing software and looking after all the equipment within it. After studying at Farnborough 6th Form for 2 years, Gareth realised his passion for IT and decided it was the route he wanted to pursue. After completing a year-long apprenticeship at projectfive, we loved him so much he became a permanent member of the technical team! Gareth used to play football for his local Sunday team and after 10 years of playing, he only scored one goal – the trials and tribulations of being a defender!